Yamaha is all set to launch a MotoGP Edition based around the recently launched R15 Version 3.0 sportsbike. The MotoGP edition of the R15 V3.0 will get only cosmetic changes. 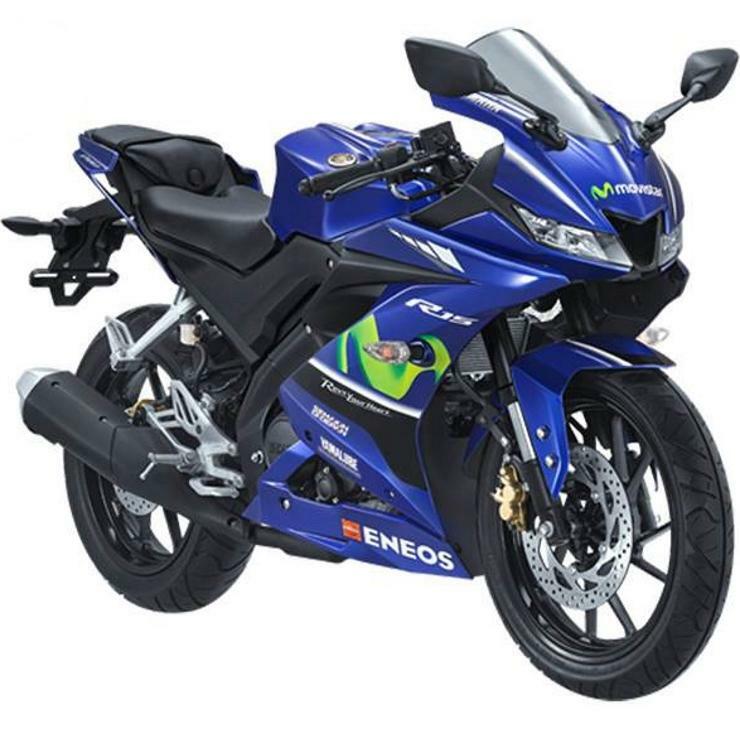 Changes include the same Movistar blue colour seen on the factory MotoGP bike, a Movistar logo on the front and sides, and an ENEOS logo on the belly pan. The R15 V3.0 is a fully faired sportsbike priced at Rs. 1.26 lakhs, ex-showroom, Delhi. The MotoGP edition is expected to cost a few thousands extra. The R15 is a high quality sportsbike seeking to serve as an entry level motorcycle for those who want to ride on the track. In its third generation in the Indian market, the R15 V3.0 has been suitably modified for buyers here. While the R15 V3.0 sold in South East Asian markets gets an upside down front fork, the one sold in India gets standard, telescopic front forks. At the rear, a monoshock adjustable for pre-load handles suspension. The bike uses a Deltabox frame meant to offer great handling thanks to its rigidity. The engine is a 155cc, liquid cooled, SOHC unit with a DiaSil cylinder coating for better heat dissipation. 18.7 Bhp-15 Nm are rated outputs and a 6 speed manual gearbox is standard. Fuel injection is standard on the bike and so are disc brakes on four wheels with double channel ABS. In the Indian motorcycle market, there’s no direct competition to the R15 as no other 150cc, fully faired track-oriented bike is on sale here currently. Honda did have the slow selling CBR 150R for a while before discontinuing it. Now though, the Yamaha R15 Version 3.0 is the only track-focused 150cc bike in India currently. The other option – the KTM RC200 – is a lot more expensive with a price tag of Rs. 1.77 lakhs. So, for those who want a high quality, sweet handling machine that gets an aggressive riding position and MotoGP-inspired technology at a relatively affordable price point, the R15 is the one to pick.